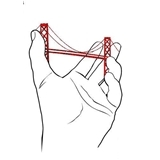 The Hand Center of San Francisco (San Francisco) - Book Appointment Online! We continually strive to provide up-to-date, compassionate, and effective care for our patients and to make the Hand Center of San Francisco the premier center for care of the upper extremities in San Francisco and the Bay Area. Our physicians are Board Certified surgeons, with additional fellowship training and Board Certification in Surgery of the Hand. They provide comprehensive care for all problems of the hand, wrist, and upper extremities in both adults and children. Our center provides on site real-time digital fluoroscopy, making X-Ray Imaging immediate and convenient without the need to travel to other locations. We are committed to providing cutting-edge technologies and incorporating new developments in patient care. These newer therapeutic resources include collagenase injections for the treatment of Dupuytren's Contracture in appropriately selected patients, minimally-invasive arthroscopic surgery for many problems, and minimally-invasive fracture treatment. These treatments are designed to minimize the impact of surgery and hasten recovery for many of the commonly treated problems in the upper extremity. Further information about our physicians, services, location, and scheduling can be found at www.sfhand.com. Great visit. Thanks Dr. Lang! !